Krefeld is since the 17th c. an important metropolis of silk. As a property of the House of Orange-Nassau (iin Dutch: Van Oranje-Nassau) it had the status of a religious refuge and a number of mennonite families came here as weavers, spinners, merchants. At first they were working with linen and since the 18th c. mostly in silk. In the 19th c. Krefeld was famous for its silk production. It advanced to be the most important silk city of Germany. (The Mennonites are a group of Christian Anabaptist denominations named after and influenced by the teachings and tradition of Menno Simons (1496-1561). 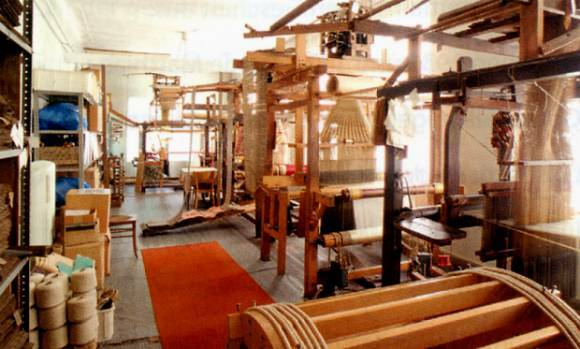 Casaretto together with a number of other weavers found new jobs in vestment manufactures. In 1900 there existed already 12 houses and suceedingly more of them were built up. 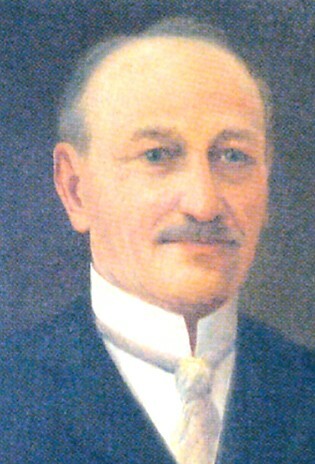 Hubert Gotzes (1860-1916) arrived with his wife and seven children in 1900 in Krefeld, and in 1905 he founded his establishment. In 1908 he bought the house at Luisenstrasse 15. This house had been built in 1867/68 to be a silk manufacture. Three of Gotzes' sons were working with the father at Luisenstrasse. The youngest, also with the name Hubert (born 1893) was sent by the father in 1914 to USA, Chicago, where he developped a trade with vestments. After the father Gotzes' death in 1916, four of his sons were responsible for the house for several years. 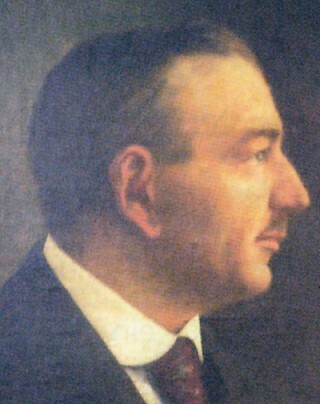 Since 1931 Martin Gotzes managed the firm on his own. 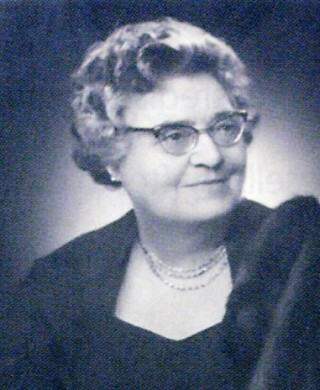 After his death in 1935 his wife Henriette took over until her death in 1969. The production still was continuing under her nephew Erwin Maus, but in 1989 after the last weaver's death the manufacture had to close. The Vatican council in 1962-65 signified a severe break-in. The new regulations for more simple vestments resulted in less commissions. In 1993 a non-profit association was founded and the house became a museum. Since 2000 the workshop is owned by the association and it is preserved as well.